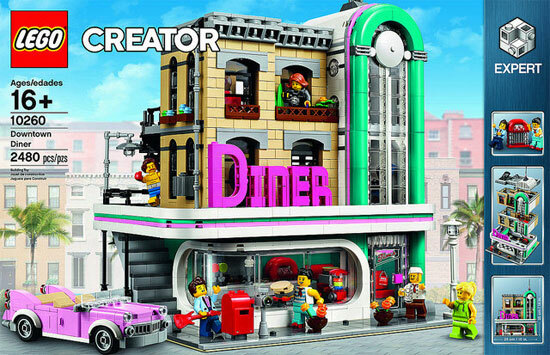 Get back in time, in the 1950s to be exact for this LEGO® Creator Expert 10260 Downtown Diner,! 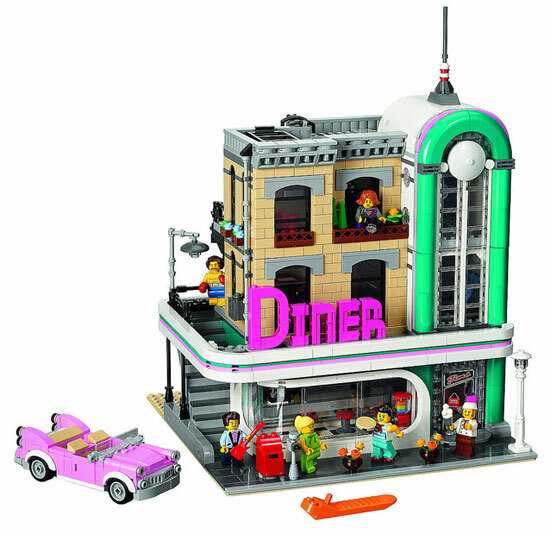 Releasing in January 2018, this set come with 3 levels buildings (4th if you count the rooftop) and one sweet ride. 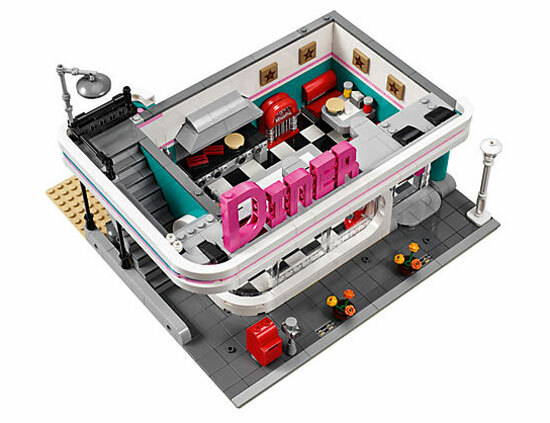 At this level, it is where the food are served by roller skate waitress, a chef making Pizza or pancake and the dinner get to enjoy drinks over the bar with Jukebox playing 50s tune. 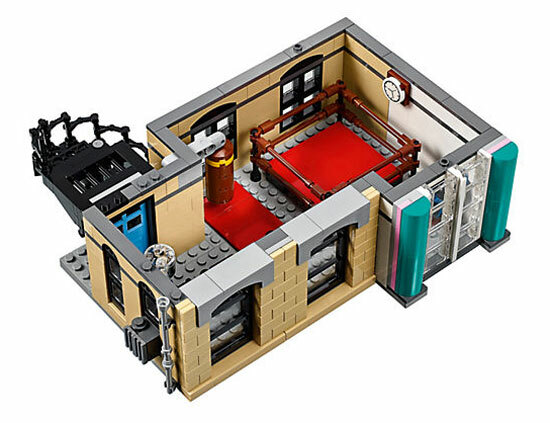 The next level, is a a gym with boxing ring, punching bag and weight training room. 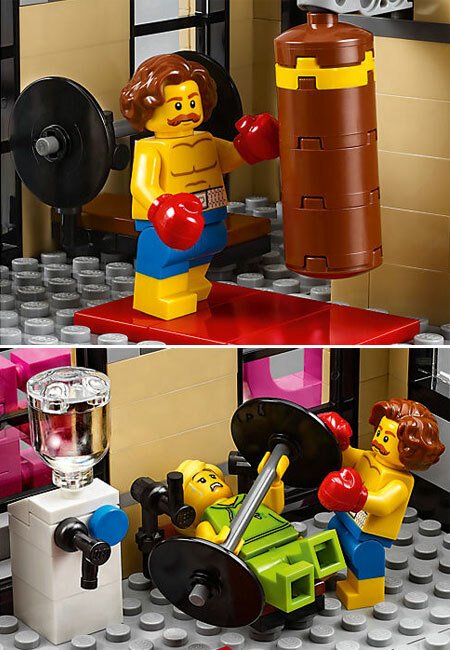 At this level would be the trainer / Manager and female trainee body builder. Not too sure in 1950s woman actually goes to gym tho. The top level is a record studio! You can see the Jukebox arc outside the building. Back then if you are wealthy, you can actually record your own song and press in vinyl record. 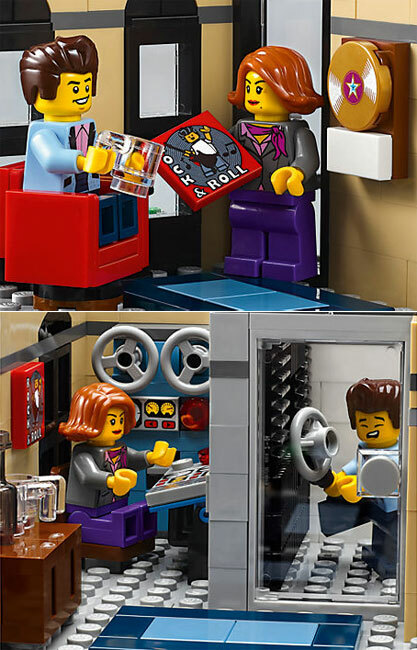 In fact that is where Elvis was discover and the mini-figure do look like Elvis. Back then the recording studio are mostly run by man tho. 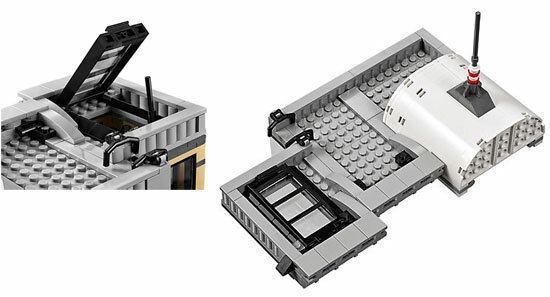 Okay finally the root top only features are the open hatch and the flag pole without flag. 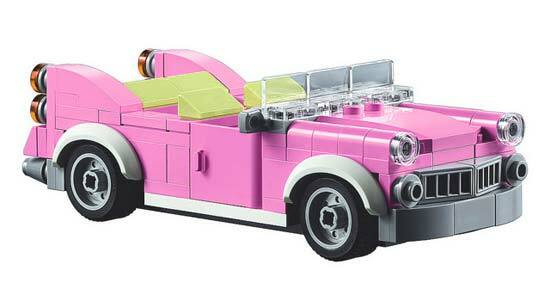 One of the bonus is this pink stylish convertible (cannot be converted for this LEGO). It is famously known as a Cadillac. 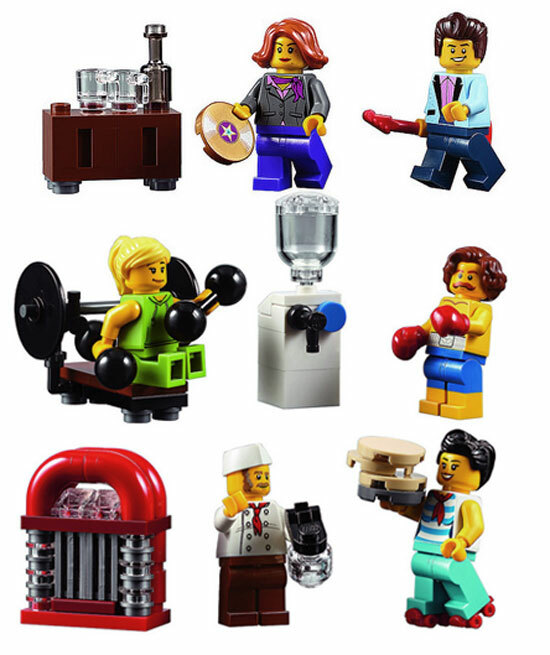 There are total of 6 mini-figures and other accessories to play with. 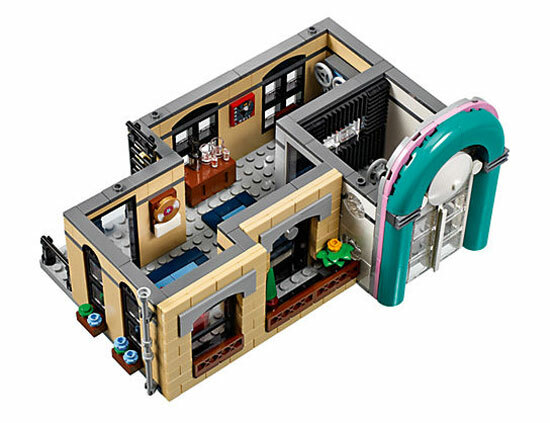 This expert set having 2,480 pieces and is suitable for ages 16+. 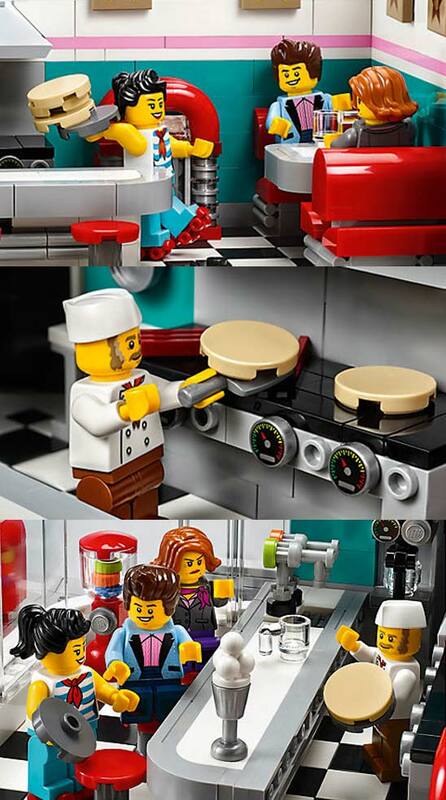 The whole model would measure when assemble to be around 13” (34cm) high, 9” (25cm) wide and 9” (25cm) deep. This is set to be on sale in January 2018 at the listed price of USD $169.99.